UNE SOIRÉE FANTASTIQUE AVEC HELLOWEEN! A while back, concert promoter Brad Lee of Brad Lee Entertainment asked his “followers” via Facebook how far that they would go to attend a concert. My response was two hours one way if I was not planning on staying overnight at whichever city or town that the concert was being held at. 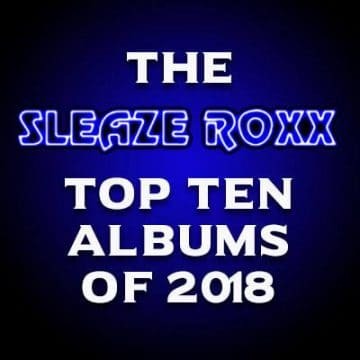 Yes, sometimes I have gone a little over that two hour threshold when I have attended concerts in Rochester, New York to recently see Faster Pussycat playing with Paradise Kitty and Maybe Never and back in 2014 to see the mighty Judas Priest along with Steel Panther as an opener. 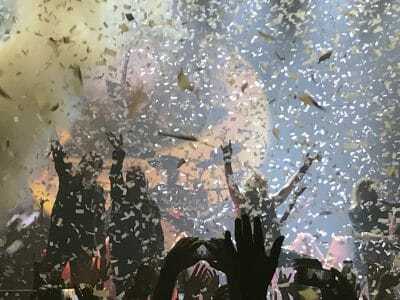 There is one band however for which the two hour (or a little bit over) threshold simply does not apply to and that is for German power metal rockers Helloween. You see, long before I was even reading articles on Sleaze Roxx and eventually become the editor of my favorite website, one band that I had followed seemingly from day one was Helloween. I remember how I loved the song “Ride The Sky” from their Walls Of Jericho album and when the band was almost more of a thrash metal band than anything else. I enjoyed the Keeper Of The Seven Keys, Pt I album with the epic song “Halloween” but it wasn’t until Keeper Of Seven Keys, Pt II (which I originally purchased on vinyl) that I fell in love with the band. “I Want Out” was the ultimate heavy metal song for me with crazy hooks, fast paced guitar melodies and the amazing singing and story telling of Michael Kiske. Throw in all the other great songs on that album such as “Dr. Stein,” “Eagles Fly Free, “March Of Time” and of course the absolutely epic “Keeper Of The Seven Keys” and you had one of the albums that I played the most back in the day. I recall my mother — who was subjected to a daily dose of heavy metal for at least five years from the family living room’s stereo system — noting how I loved high pitched vocals and that was mostly from her hearing Kiske‘s screams over and over again. When Helloween started venturing in different musical directions and started to lose part of their fanbase with quirky albums such as 1991’s Pink Bupples Go Ape and 1993’s Chameleon, I remained steadfast in their corner to the point that I still really enjoy the Chameleon album and was so disappointed when Kiske eventually parted ways with the band after that record. I have already recounted in a prior Helloween concert review the story of when I was backpacking in Europe and noticed that Helloween were going to be playing in Hungary, Budapest in March 1995. In short, it was highly recommended by my native Hungarian friend that I do not attend the concert as there was a good chance that there would be some sort of “confrontation” due to my skin colour. I ended up taking my local friend’s “advice” and only had to wait 18 years before finally seeing Helloween in concert. 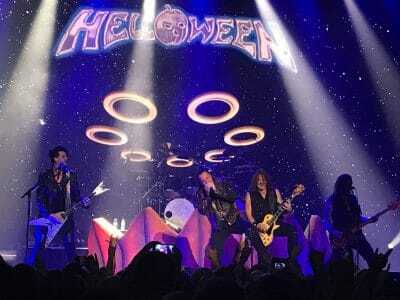 Sadly, Helloween started bypassing Toronto altogether during their last few tours so in February 2016, Sleaze Roxx writer Eduardo and I made the trip to the city of Montreal in “la belle province” to catch Helloween play live. 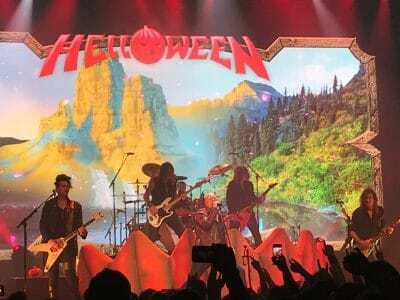 Despite only getting a few hours of sleep and driving six hours through the early morning hours in the middle of winter to get back to Toronto at the time to start my work day, I thought that it was all worth it to see Helloween in concert once again. 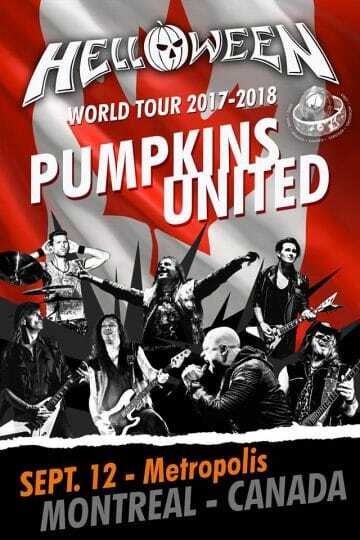 When guitarist Kai Hansen and in particular singer Michael Kiske rejoined Helloween to take part in the jaw dropping Pumpkins United World Tour 2017-2018, I was really hoping that they would come to Toronto this time around but at least a Montreal date was offered. With Eduardo (another fanatical Helloween fan) living in Mexico once again, I reached out to my friend Rich “The Meister” Dillon who was really the only person crazy enough that I knew to do such a road trip with me (six hours to get there followed by another six hours to get back right after the concert). The Meister was indeed game to go and I purchased tickets for the two of us as soon as they went on sale. This was way back on October 25, 2017, which is about 10.5 months before Helloween‘s actual Montreal show. To appease my wife who was less than impressed at my last journey to go see Helloween in Montreal consisting of 12 hours of driving in a span of 17 hours, and with The Meister unable to assist with the driving (Eduardo had shared in the driving the last time out), it was decided that we’d go to the Helloween concert in Montreal by bus this time around. I honestly can’t recall the last time that I took a bus from one major Canadian city to another. It must have been at least 25 years ago. Although most people would attest to the safety of traveling in a bus, I recalled back in 2008 when sadly, a mentally deranged man ended up stabbing, beheading and cannabilizing another bus passenger while traveling via bus in a western province of Canada. Seeing another bus rider this time around talking loudly to himself and anyone else willing to listen to him, and inexplicably snapping at the bus driver during the bus ride to Montreal this time around simply reminded me of the 2008 bus beheading incident and didn’t sell me on any future bus rides. In any case, the bus ride ended up taking longer than expected due to traffic and The Meister and I’s almost two hour break in Montreal before the concert (we were scheduled to arrive at 5:45 pm with the concert starting at 7:30 pm) got cut to about one hour. I had researched that we could leave our bags in a locker at the bus station but upon arriving at the rather tiny bus station terminal, I thought that there would likely be no lockers and that indeed was the case. Having brought two laptops with me, I absolutely needed to store them somewhere before the show so The Meister and I started a frantic pace to try to find a storage facility. Even the central train station didn’t offer lockers but luckily we were pointed to a hotel that would take our bags on consignment and for the very reasonable price of a toonie ($2). With our belongings secured, we only had about 30 minutes to make it to the venue for the start of the concert. As we were sitting in a cab on the way to the venue, The Meister informed me that one of his friends had advised that there were two opening bands. Ugh. My research before the show had suggested that there would be no opening acts so Rich and I were booked to board a bus at 12:15 am to make our way back to Toronto. With two opening acts, Helloween would surely not get on stage until 9:30 pm at the earliest and with the German power metal rockers expected to play for about three hours, this would mean that Rich and I would have some hard decisions to make later in the night. In other words, we’d either have to leave partway through the Helloween concert to catch our 12:15 am bus or stay for the whole show, miss our 12:15 am bus and hope to take the next bus departing sometime after 6:00 am. Luckily, once we got to the venue, we were informed that Helloween were indeed the only band to be performing on this night. Phew!!! It was easy to spot the venue because there was a sea of black t-shirts in front of the venue. 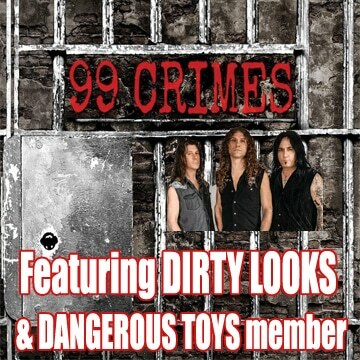 It felt like if we were back in the ’80s heavy metal golden era with so many metalheads outside hanging out and waiting to get in to see a classic heavy metal band that while having a distinguished music career had not broken into the mainstream like for example Metallica. As we walked into the venue, I was even more impressed. The venue was simply packed with people. There must have been people about 50 to 60 rows back from the stage on the main floor and every seat in the upper balconies seemed spoken for. Considering that we were not even 7:30 pm, it was truly impressive to see so many metalheads already there for the concert. Then again, Helloween were scheduled to hit the stage at 7:30 pm so I am sure that no one wanted to miss a single note from the band’s show. The MTelus venue was gorgeous and all that The Meister and I could say to each other was that we wished that Toronto had such a venue. Seeing how many people had turned up to see Helloween in Montreal and how into the show most people were, I sadly understood why Helloween had bypassed Toronto during their last two tours. Within 20 minutes of The Meister and I arriving at the MTelus venue, the Helloween band members were slowly making their way to the stage one by one. 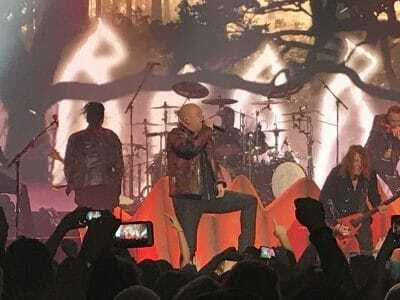 The loudest cheers came when Michael Kiske strolled on stage and started singing the classic song “Halloween.” Before long, Andi Deris was on stage as well and was trading vocal lines with Kiske. I was wondering exactly how the trade off between Kiske and Deris would work, who would be singing which song, would Kiske sing any of the Helloween tracks that he wasn’t a part of, etc. All these questions would be answered as the concert unfolded. Kiske sounded fantastic and still has that amazing high pitched voice. Deris was very impressive as well given that he has been able to handle the Kiske song catalog all these years while putting his own spin on it. There simply aren’t that many singers that could properly sing the original Kiske sung Helloween songs. It was also cool to see Kiske and Deris sing harmonies together at times during songs and they absolutely nailed them. I can’t say enough how great it was to see Kiske singing the classic Helloween Keeper Of The Seven Keys era songs. Hearing tracks like “Dr. Stein” and “I’m Alive” brought back memories when I listened to those Keeper records as a kid. Deris introduced Kiske to the crowd alluding to him as the “most important” member. 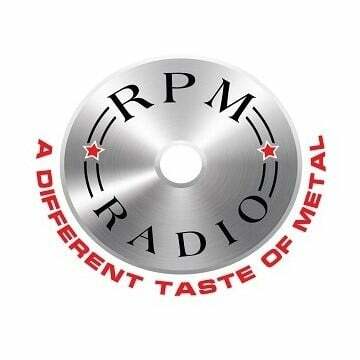 I am not sure about that but it was a nice display of respect from Deris to Kiske. 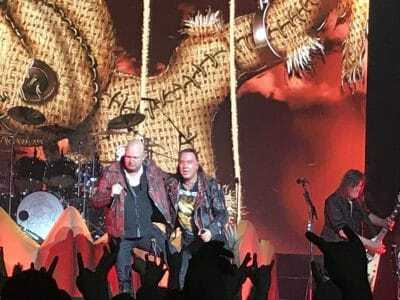 Before long, it was time for Deris to introduce one of my favorite Helloween songs of all-time — the beautiful “If I Could Fly” — which cemented in my eyes why Deris has been able to carry his own legacy as Helloween‘s frontman for the last 24 years. With quality songs like that, you could take out the entire Kiske sung catalog of music and Helloween would still be one of the great power metal bands of all-time. Next up was “Are You Metal” which I’ve never been that much of a fan of but the album 7 Sinners was Helloween‘s return to heavy metal form after straying a bit with Unarmed: Best of 25th Anniversary. Uploaded by Everaldo Júnior on 2018-09-13. The setlist from Helloween on this night was simply out of this world. The Keeper albums were very well represented. You had some the best songs from the Deris led material and you even had a healthy blast from the past with the Walls Of Jericho album being quite well represented. After awesome renditions of “March Of Time” featuring Kiske on lead vocals and “Perfect Gentleman” featuring Deris singing, it was time for Kai Hansen to take center stage and bring everyone back to “some good old ’80s heavy metal from Hamburg, Germany.” Hansen is definitely not in the same league in terms of singing as Kiske or Deris but it was fun hearing him sing those early Helloween tracks including a fun medley of “Starlight,” “Ride The Sky” and “Judas” followed by “Heavy Metal (Is The Law).” Although The Meister and I were about 30 rows of people back from the stage, everyone around us seemed really into the show and tons of people knew all the lyrics to the older Helloween songs. Everything seemed to run to perfection all night long. 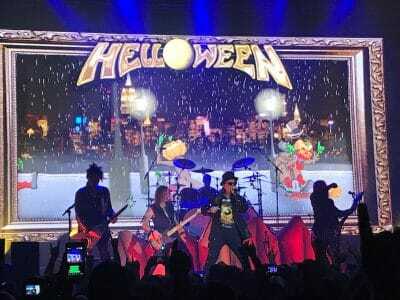 In between quite a few songs, Helloween played animated videos of two pumpkin characters, which presumably bought time for the band members to regroup but also avoided the awkward silence that can sometimes occur at concerts when the performers take too much time between songs. After Hansen had his chance to shine, Kiske came back on stage and chuckled at Hansen for mentioning “’80s heavy metal” when all Kiske was singing on this night was ’80s era tunes. Kiske asked the crowd if they minded that he sang a ballad before launching into the beautiful “A Tale That Wasn’t Right.” Next up was Helloween‘s new song “Pumpkins United” which had Deris and Kiske trading lead vocals. It’s a pretty good song and if that’s the catalyst for a brand new Helloween album, which would include Kiske and Hansen, I am all for it! I was surprised when Loble got a drum solo but even more surprised to see that it was incorporated as a tribute to drummer Ingo Schwichtenberg, which I thought was fantastic since it often feels like he’s a forgotten member from the group even though he played on more of the early Helloween albums than Kiske or Hansen. The great songs just kept pouring in with a partial rendition of “Living Ain’t No Crime” (one of my faves from the Kiske era), “Little Time” and the solid “Waiting For The Thunder.” Deris then introduced the first song that he ever wrote (I think) with Helloween, which was none other than “Sole Survivor” from the amazing Master Of The Rings album. Deris also noted at that time that he had been in the band for 24 years. How time flies! From then on, it was time for the sing along classic “Power” which is arguably the best song that Helloween have penned during the Deris era. It was awesome hearing Deris introduce “How Many Tears” as the singer advised this was the first song that he had ever heard from Helloween jokingly at the age of three before stating that he was around 18 at the time and wished that he had written such a great song. The two sets of encores were simply stupendous. It was so great seeing and hearing Kiske sing the lead vocals to “Eagles Fly Free.” What followed next was a killer rendition of “Keeper Of The Seven Keys” with Kiske and Deris trading lead vocals as well as singing vocal harmonies together. I really liked the end of the song where each member introduced another one before stepping off stage with guitarist Sascha Gerstner leading the “ooh ooh ooh” chants between introductions. 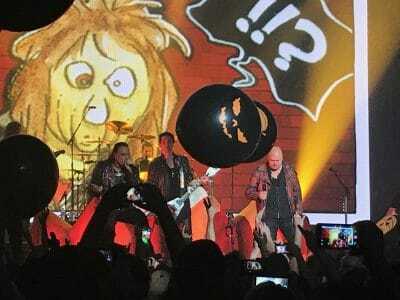 To end what can only be described as one amazing evening of music, Helloween played spirited renditions of “Future World” and “I Want Out” with the latter song accompanied by these huge black balloons getting bunted over the heads of the crowd in the general admission area and a massive amount of confetti at the end of the song. While I haven’t yet mentioned guitarist Michael Weikath and bassist Markus Grosskopf, I have to say how impressed I am with those guys for putting their egos aside, bringing back Kiske and Hansen while keeping Deris, Gerstner and Loble in the line-up and giving Helloween fans a truly unbelievable concert experience and definitely one of the best concerts that I have seen this year. Given that The Meister and I had to skip supper due to time limitations prior to getting to the venue, we were both game for some food prior to boarding a bus for the long trip from Montreal to Toronto. I will say that I am grateful for The Meister providing me with two slices of bread and his last piece of ham on the bus ride to Montreal even though he at first refused to part with his remaining piece of ham. That “sandwich” was what I needed to get through the show. As we were walking away from the venue, I saw a fast food chain named La Belle Province and instantly remembered how good that place is. Although it’s a fast food joint, the french fries were seemingly freshly cut and there’s nothing better than a smoked meat sandwich from Montreal. With our stomachs literally bursting, The Meister and I made it onto our bus and both of us were sleeping in no time. The bus ride back to Toronto was definitely a lot faster than the ride from Toronto to Montreal. Would I do the trip again to see Helloween? In a heartbeat!